Peregrination, A Playable Reproduction (2018) Game components: digital reproductions of the game board and five game pieces, five wooden stands, a pair of dice, ninety-one buttons as counters. From the playersâ&#x20AC;&#x2122; pockets: a wooden shoe, a Vape mat, a dried passion fruit, a peanut-candy wrapper, the key from a can of corned beef, a plastic toy, and a commemorative pin. Ewan Atkinson was born in Barbados, in 1975, and is based there. He graduated with a BFA from The Atlanta College of Art, in Atlanta, Georgia, USA (1998) and an MA in Cultural Studies, University of the West Indies, Cave Hill, Barbados (2014). Apart from solo and group exhibitions in Barbados, Atkinson has shown in international exhibitions including; Infinite Island, Brooklyn Museum, NYC (2007); The Caribbean Pavilion (Liverpool Biennial 2010); The 12th Havana Biennial (2015); Caribbean Queer Visualities, Golden Thread Gallery, Belfast, Northern Ireland (2016); and most recently Relational Undercurrents: Contemporary Art of the Caribbean Archipelago (2017-18). Atkinson is currently the coordinator of the Studio Art BFA programme at the Barbados Community College and co-founder of Punch Creative Arena, an artist led curatorial initiative. Sheena Rose: new work Sheena Rose is a contemporary Caribbean artist who lives and works in Barbados. Sheena is a Fullbright Scholar and holds a BFA Honors degree, Barbados Community College, 2008 as well as a MFA from the University of North Carolina, Greensboro, 2016. Sheena has a multi-disciplinary practice. Her oeuvre includes hand drawn animations, drawings, paintings, performance art, and new media. Sheena has exhibited regionally and internationally. 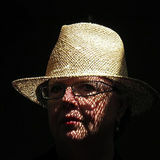 Her work has been shown in the Caribbean, South America, The USA, Canada, Europe, Africa and Asia. Sheena has been a participant in the Havana Biennial, Venice Biennial, Gwangju Biennial, Jamaica Biennial, and has exhibited in such art institutions as MoCADA, Queens Museum, Turner Contemporary Gallery and Residency Gallery. About the artist: Adam Patterson is a Barbadian visual artist and writer currently based in Barbados, Rotterdam, and London. He completed his BA (Hons) Fine Art at Central Saint Martins in 2017. Concerned with how stories, images, and gazing affect the emergence of selfhood and self-determinacy, his work involves telling new stories or rethinking old stories in new recuperative ways. Andre Bagoo is a Trinidadian poet, the author of Trick Vessels (2012), BURN (2015, longlisted for the OCM Bocas Prize for Caribbean Literature), Pitch Lake (2017), and The City of Dreadful Night (2018). An expression of history through ‘Other Lives Way beyond the purist discussion of technique, texture, theme and talent there is a conversation, a moment of reflection and a lesson in the exploration of self that is how Chief Executive Officer (CEO) of the National Cultural Foundation (NCF), Mrs. Carol Roberts-Reifer described the effect of Other Lives on those who will walk through the doors of the exhibition. There is a visceral connection to the artist, the work, its intent and impact on the viewing audience, she added. Other Lives, is an exhibition of work by Nick Whittle, opened at the Queen’s Park Gallery last Sunday, January 13, 2019. Mrs. Roberts-Reifer expressed honour and delight at being invited to deliver the feature address at this opening event, not simply because of her role as CEO but as an ardent but quiet fan of art and as someone who has a vast collection of Whittle works. “I am generally fascinated by those who possess talent so great and deep and accomplished that they get to express themselves in their chosen art form. Visual artists, dancers, musicians – all artists, artistes and artisans really – I envy them silently – the closest I’ve come to playing anything is playing the radio…,” Roberts-Reifer quipped. Nick is skilled at making us pause and think and sometimes even feel a bit uncomfortable or on edge through his work, because he has dared to express himself, he has dared to take on a topic and say, state, express, what we wish we had the fearlessness to do. His latest exhibition, the CEO added, fell perfectly into the schematic of his previous showings. History meets a perennial hot topic, meets passion and emotion, meets a jolt to the senses and intellect, all soothed by the generosity of the host – the artist. She invited the audience and those coming to view the exhibition over the next few weeks, to insert their own thoughts and interpretations expressed in the form of questions, and to commit to finding their own answers as they engage with the themes and truths in the Exhibition – Other Lives. To view it just as art for art’s sake or for purely aesthetic pleasure is to do the artist and you, his audience, a great disservice, the CEO concluded. Nick Whittle is the recipient of the Prime Minister’s Award for most Original Work, NIFCA 2018. He is a Caribbean Master, CARIFESTA XIII Barbados 2017; he was awarded a Frank Collymore Literary Award for poetry and is co-author of ‘Art in Barbados: What Kind of Mirror Image.’ Nick was also a member of the National Art Gallery Committee between 1998 and 2008, the former Head of Fine Arts at Queen’s College and past President of the Barbados Secondary Teachers’ Union. Artist Alliance Barbados presents 'Resolution- Contemporary Barbadian Creative Works' exhibition. Hosted by the Embassy of Argentina, Hastings, Ch Ch. Curated by Oneka Small th Saturday, January 12 - February 12th. Viewing by appointment only. 10am - 3pm. Please phone 537 1800 or 822 3694 to arrange day and time. Directions. Almost obliquely opposite the Savannah Hotel in Hastings. On land side. Drive in to the left and continue to the back where there is a sign for the Embassy . Congrats to Sheena Rose, artist of 2018, Akil Brathwaite photographer of 2018, and Ewan Atkinson for Favourite Visual Arts Piece of 2018. And congratulations to all others who won in the differents fields of the arts. Gine On?! People's Choice Awards 2018 results for creatives involved in all of the arts. See the full list and view the online show on GineOn.Com/Awards. This is such a great thrust into the arts in Barbados. A wonderful way for all of us to acknowledge many. We know some. We don't know some. But through this initiative led by Dempstu Simmons Jr and EmpressZingha Simmons of Gine On Magazine we get to be introduced to them and in turn folow them. As Dempstu Simmons Jr says at the end of the live stream video last night, everyone needs to use the social media ( most of which is free and is world wide) to show off their talents and to get family and friends to help, This is the way we get our talent out into the world. Artist Alliance Barbados presents Weaver Sylvester Clarke’s exhibition ‘Expressions’ Opening reception Monday Feb 4th, 3pm. Norman Centre Bridgetown. All are welcome. January 25th ­ February 16th. Mon to Fri 8:30am ­ 4pm Hosted by Norman Centre, Bridgetown. Curated by Oneka Small. On Saturday January 12th, 1pm - 3pm. Artist Alliance Barbados and Norman Centre hosted A FREE Batik on Paper Demonstration by artist Heidi Berger. An innovative watermedia technique using wax resist, It was a great opportunity to learn something new & interesting! ARTSPLASH GALLERY 'Awaken To New Beginnings' Group Exhibition – Friday, 18 January— Mon, March 18th. Featured Artists: Hebron Chism, Martina Pile Zahles, Petra Emmanuel, Julia Seymour, Amanda Thompson, Lorna Wilson, Lois Crawford, Asha Yearwood, Joshua Simpson, Sheriddean Skeete. All are welcome. 9th Annual Caribbean Fine Art Fair & Symposium. March 6th - 10th. For more information please go to CAFA Facebook page. Link here https://www.facebook.com/CaFAFairBarbados/ Paintings, sculpture, photography, fine art jewelry, drawings, original & limited edition prints, as well as new media exploring the cultural traditions of the Caribbean. Do you consider what you use and discard of regularly? What are you doing on a daily basis to minimize your consumption of single-use plastics? Barbados Bu'n-Bu'n This amazing book by Rosemary Parkinson is on island. Two hard cover coffee table books, with a sleeve that encloses both, 656 pages and 1400 plus photos filled with history, tradition, culture, stories and recipes from Barbados. Barbados Bu'n-Bu'n, a collector's item, has won 4 awards for Barbados â&#x20AC;&#x201C; Best Photography, Best Design, Best Historical Recipes, Best Self-published Book â&#x20AC;&#x201C; then against 5 of the best books in the world WON Best Self-Published Book In The World and honoured at the Frankfurt Book Fair 2015 with Best of the Best In The World by the Gourmand World Cookbook Awards 2015. Historic Houses of Barbados Written by Henry Fraser & Ronnie Hughes. 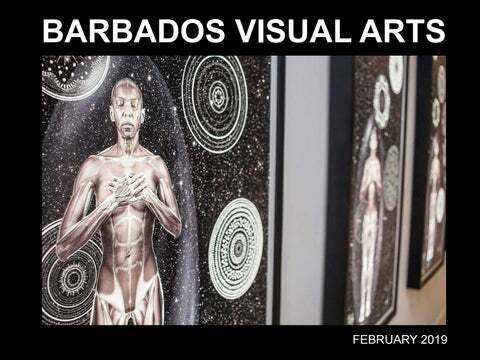 Barbados Arts Council Gallery Schedule 2019 (Subject to change. Please call the Gallery to confirm) Jan 27 - March 09 All Bajan Group show March 10 - April 06 Members Group Show April 07 - May 04 Members group show May 05 - May 18 Rental May 19 - June 22 Our Heritage [group show] June 23 - August 10 Crop Over Group Show Aug 11 - Aug 24 Rental Aug 25 - Oct 05 Little Gems Group Show Oct 06 - Oct 19 Rental Oct 20 - Dec. 07 Simply Barbados Group Show Dec. 08 - Jan 18, 2020 The Christmas Show Barbados Arts Council Gallery, # 2 Pelican Craft Village, Bridgetown, Barbados. THE FRAME & ART COMPANY Millhouse, Canewood • St. Michael, BB 11005 • Phone (246) 271-6509 • Cell (246) 266-9432 ART SUPPLIES THE ART HUB James Fort Building, Hincks Street, Bridgetown, St. Michael. Tel: 436-2950Monday - Saturday 8.30am - 5.00pm (Easy access to parking by the old Heliport Pad) LAURIE DASH, Bay Street, Bridgetown. The quintessential guide to contemporary Caribbean chic. Caribbean travel, homes, cuisine, and people.